Thank You to everyone who entered the Raz-Baby Givaway! 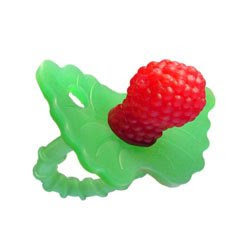 You had some really great ideas on how to soothe teething babies! Frozen bananas in a netted teether work great! frozen fruit is my favorite! I give my little one a cold washcloth! I usually freeze a wet washcloth and let them bite on it! Thank You for the great suggestions, i would imagine that any of these tricks would help soothe a teething baby! My little one has 4 teeth so far, so we have alot of teething left to go! You have one day left to enter the Smuckers Uncrustables Giveaway! You have until October 31st to enter the Nina Ballerina Barettes & Clips giveaway! Thank You to the The Chil-koffs and A Friendly Welcome for grabbing my button and Posting this giveaway! Phil & Ted’s Graffiti Sport w/Double Kit & Lazy Ted For Only $299!